Oops, It seems like we don't have any blogs written for this category yet, come back later. We might cook something up for you till then. We are Language Yogis ! Our mission is to connect the world through languages. 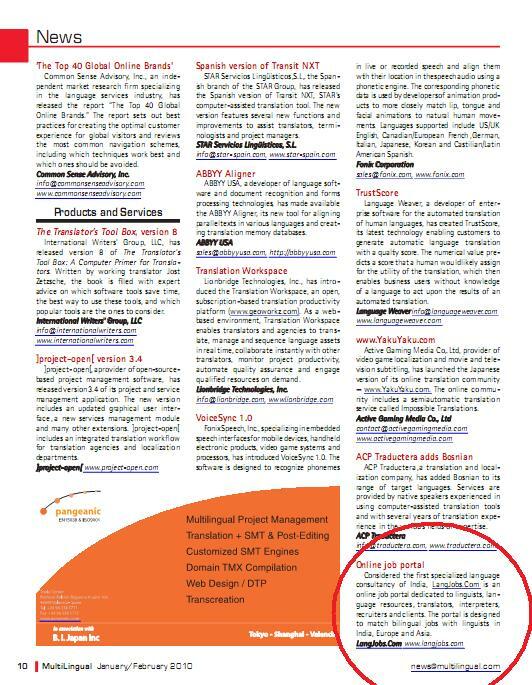 multilingual.com considers us as India's 1st specialized language consultancy. 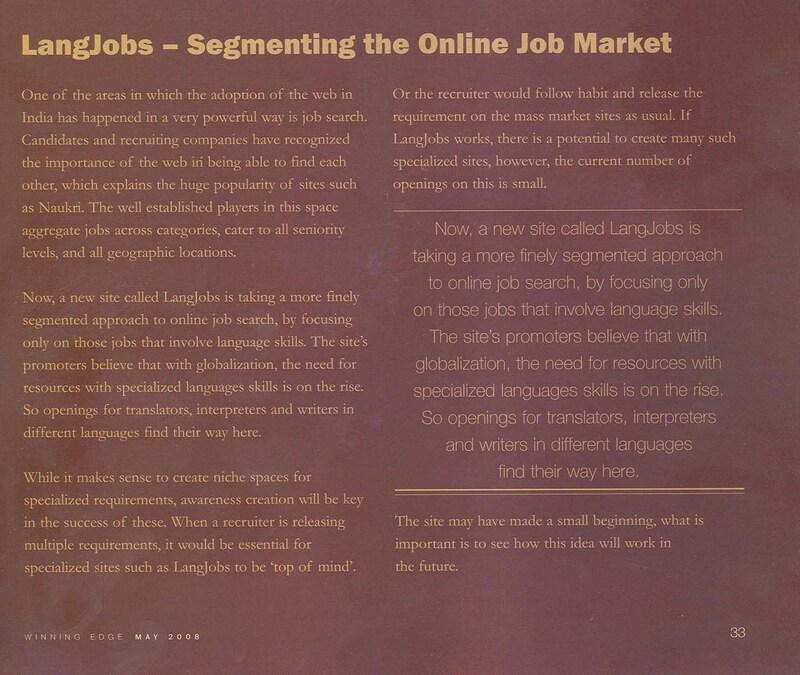 livehindustan.com LangJobs as Language Jobs Marketplace. Winning Edge LangJobs as Innovative Websites from India. LangÉcole - One of a kind Institute, which deals in language teaching and training. LiveÉcole - A P2P Language learning web portal.